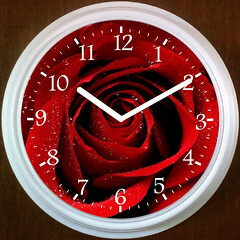 Simply email your image to billie@customclockface.com or mail it to me. Email me for the physical mailing address. 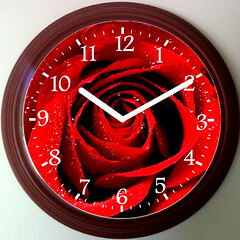 All of these clocks are of other people's images. I could do something similar with any image you send me. Click on an image to see it more clearly. This will open a new page in your browser. 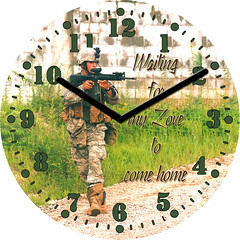 Clocks like these are normally $39.95 each and that includes FREE Priority Mail S&H. Here are examples of the frame choices available at this time. 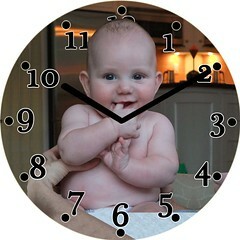 We plan to offer some larger faces and metal clocks with glass fronts soon.